Full Description: A Dutch glazed and gilt-embossed colour postcard, divided rear, postally-used on 28th Dec 1932, with printers' details "Import 3465". 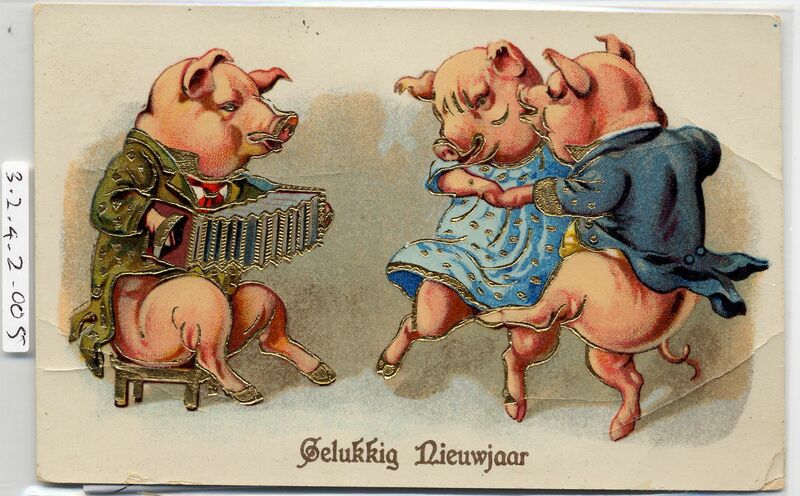 The image is of three dressed-up pigs, the one playing a gilt German concertina, the other two dancing with some enthusiasm! Wording is "Gelukkig� Nieuwjaar".